Donna Greco, a native of Pittsburgh, is known and respected as an accomplished pianist-teacher-composer. Recognized in the classical, jazz and contemporary instrumental genres; her musical career spans 35 years. Donna began teaching private piano lessons professionally, at the age of sixteen. An award winning pianist at the age of seventeen, Donna was featured as guest soloist with The Pittsburgh Symphony Orchestra in performances of the Saint-Saens Piano Concerto No. 2 in g minor. Donna attended Carnegie-Mellon University during high school completing courses in advanced music theory and solfeggio. She was awarded a scholarship for piano performance at the Duquesne University School of Music conservatory program, where she studied extensively with Louis Pollak, esteemed student of Rosina Lhevinne. Following, she earned a scholarship from University of Pittsburgh for graduate studies in Jazz Piano Performance and Ethnomusicology. She left academia to pursue a more artistically intensive life path, seeking instruction from recognized performing artists who inspired her; most notably, the legendary Eunice Norton, esteemed student of Artur Schnabel, one of the 20TH Century’s greatest pianists. Donna spent seven years studying privately with Eunice, and was a participant in the Eunice Norton Master Classes. Other teachers of note include Robert Cardillo, her piano teacher of fourteen years from childhood, who devotedly inspired her to become an accomplished and diverse musician; Johnny Costa, the pianist, arranger and musical director for Mr. Roger’s Neighborhood, and Carl Arter, a Pittsburgh jazz legend. Donna served as the private piano instructor for The Pittsburgh Creative and Performing Arts High School for 5 years. She has also been on the faculties of The Waldorf School of Pittsburgh, Winchester Thurston Academy, The Falk School, Saint Bernadette Elementary School, The Jewish Community Center, Arts in the Parks, The Ursaline Center, and Chatham University’s summer arts programs. She performed on the Pittsburgh jazz circuit for seventeen years in numerous jazz venues, as a soloist and in various ensembles, with many of Pittsburgh’s finest musicians. She was privileged to perform a run with Al Hibbler, during his Pittsburgh tour in 1984. Hibbler was best known for his million-selling recording of “UNCHAINED MELODY” and as the featured singer with Duke Ellington’s orchestra. 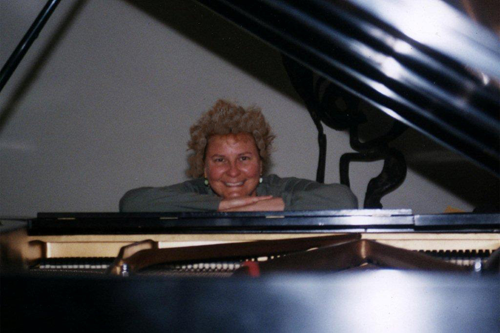 During the International Piano 300 Celebration in 2001, Donna was invited to perform on the stage of The Carnegie Science Center as the represented contemporary solo pianist in an entire program of original compositions. She has created music for local playwrights with City Theater and Gateway to Music. She has also performed and directed musical theater with The Pittsburgh Playhouse Conservatory. As a professional accompanist, Donna is sought for her sensitive coaching and interpretive abilities with instrumentalists and singers. Donna performs for private parties and special events hosted by theaters and galleries. A certified Music for Healing and Transition Practitioner, Donna’s Intuitive Music Practice is designed to create personalized musical settings for the facilitation of healing and mediation. She also receives commissions for specialized musical recordings produced and designed for personal and sacred intentions. She works in the hospice environment musically assisting those who are in the final stages of earthly life. Donna holds a B.A. in English Literature and Creative Writing from Westminster College. She is also a published writer.